These slow-cooked meatballs are full of flavour and oozy, melted mozzarella! Place a square of mozzarella in the middle of the patty and bring the edges in, squashing the meat together to form the ball. 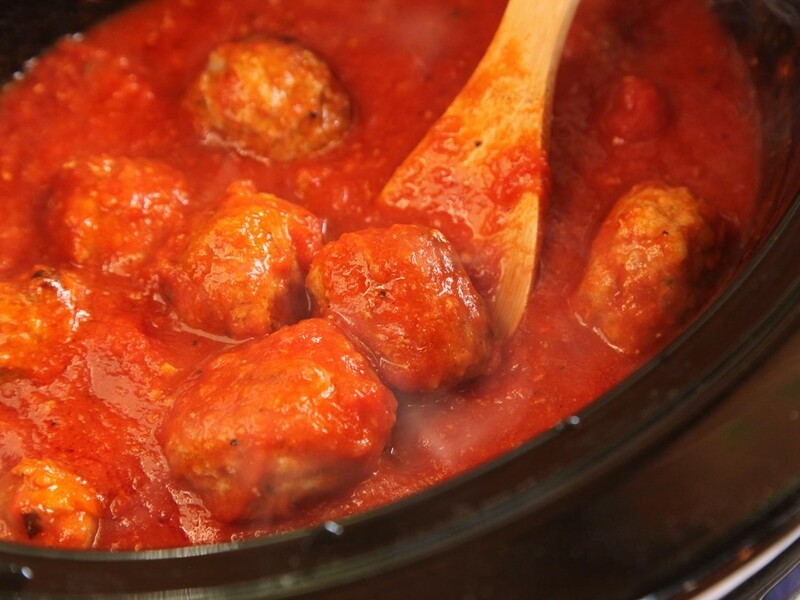 Place a layer of meatballs in the bottom of your slow cooker and cover in the first jar of sauce. Add another layer of meatballs and add the next jar of sauce. I dont recommend stirring at this point because you risk damaging the meatballs, but gently using a spoon you can distribute the sauce evenly to make sure everything is covered. There's no need to brown them first. Once you're ready to serve, you may find a layer of fat which has come from the cooking meat and cheese and I just skimmed this off with a spoon before serving.